My special collection of white sea glass, hand-picked from the shores of New England... the perfect complement to a wedding day - or ANY day! 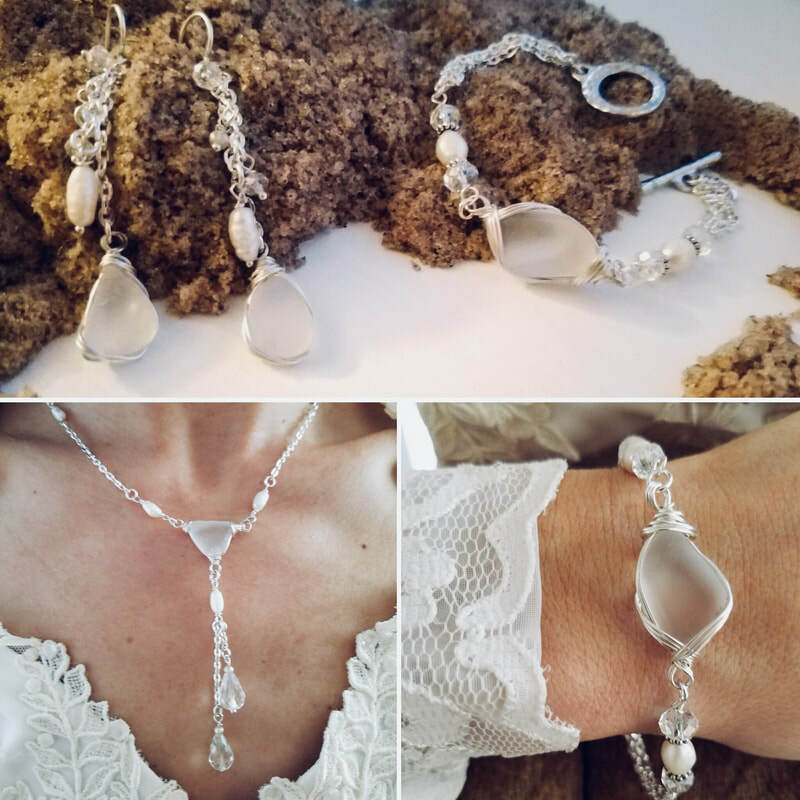 Stunning bracelets, necklaces, and earrings -- handcrafted with sterling silver, rare Austrian crystals, and freshwater pearls. 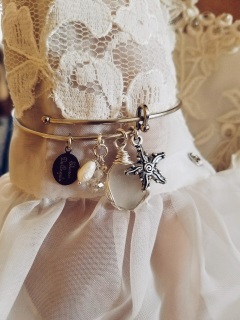 The perfect wedding piece for a soon-to-be bride, with everyday wearability. 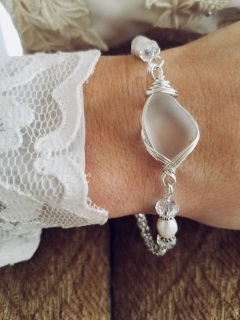 Elegant white sea glass wrapped in the finest sterling silver. 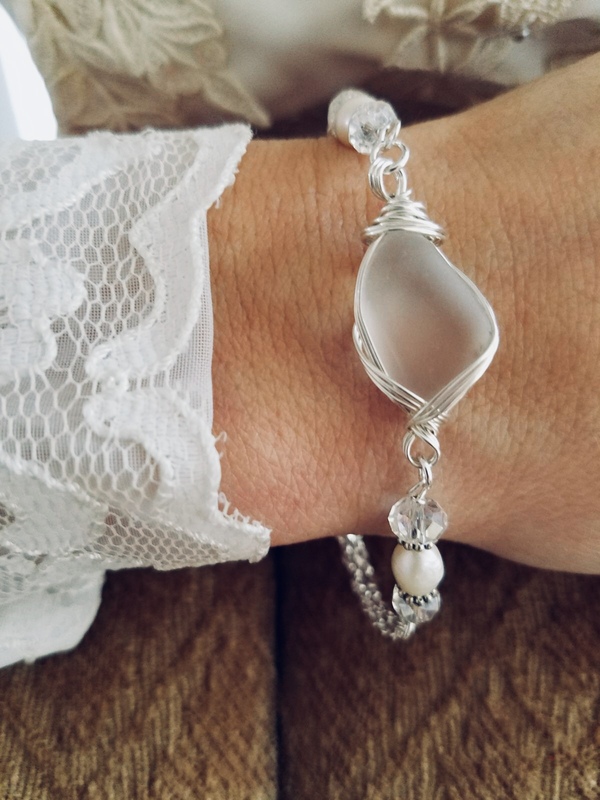 This beauty features Austrian crystals and freshwater pearls, set in a sterling chain and lobster-claw clasp. 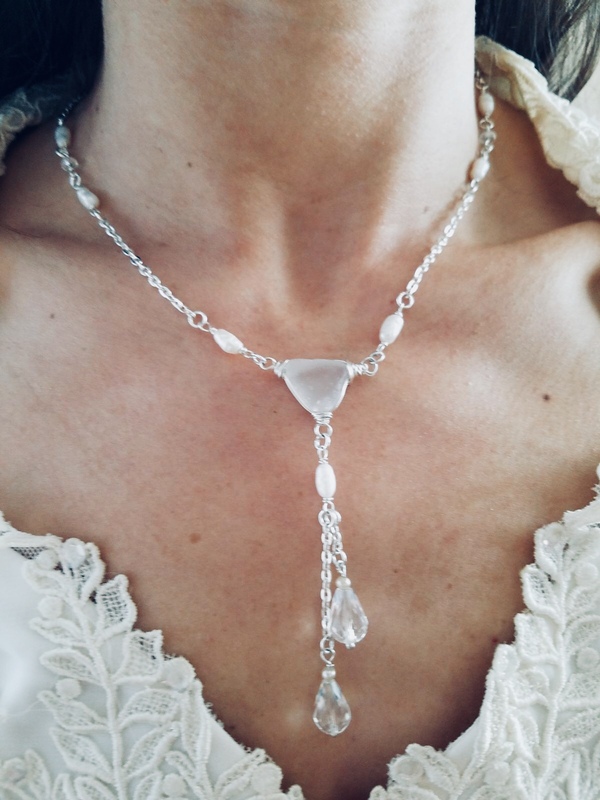 White sea glass set in a stunning sterling silver plate chain, featuring Austrian crystals and freshwater pearls. Extends from 18" to 24". 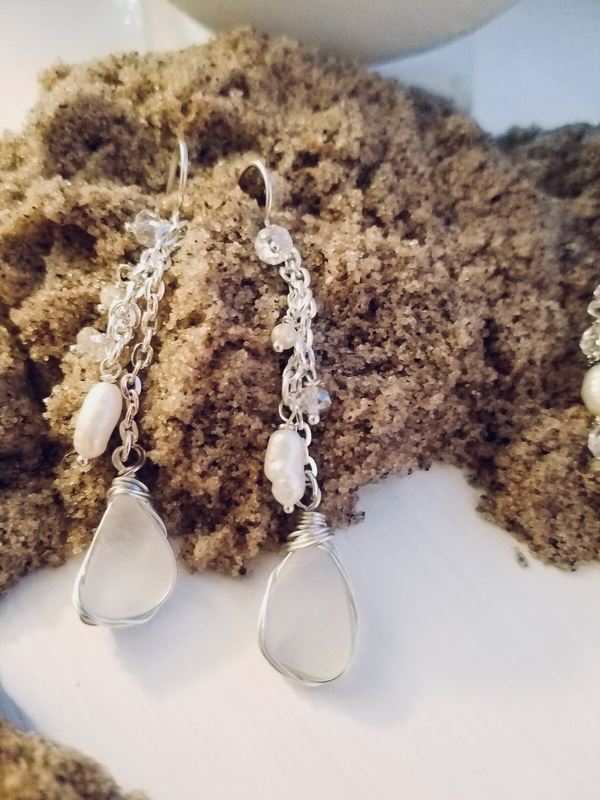 My famous sterling silver drop earrings, now featuring authentic white sea glass, rare Austrian crystals, and fresh water pearls. Stunning white sea glass paired with Austrian crystals and nautical charms in a New England folk bracelet.